I made a quick trip to Bed Bath & Beyond. Always dangerous. I find it impossible to walk out without a few extra things that weren’t on my list. I found this salad shaker in a big bin at the front of the store. I almost made it to the register free of impulse purchases, but I had to grab one of these OXO goodies, along with a big container of animal crackers for our horse, her favorite. 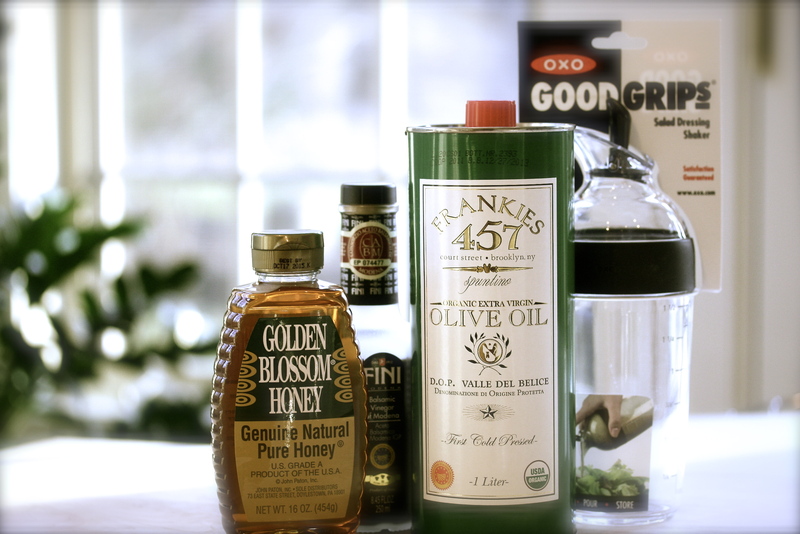 I always make homemade salad dressing. Have you ever looked at the ingredients list on the bottled dressing at the grocery store? Homemade dressing takes no time to make. 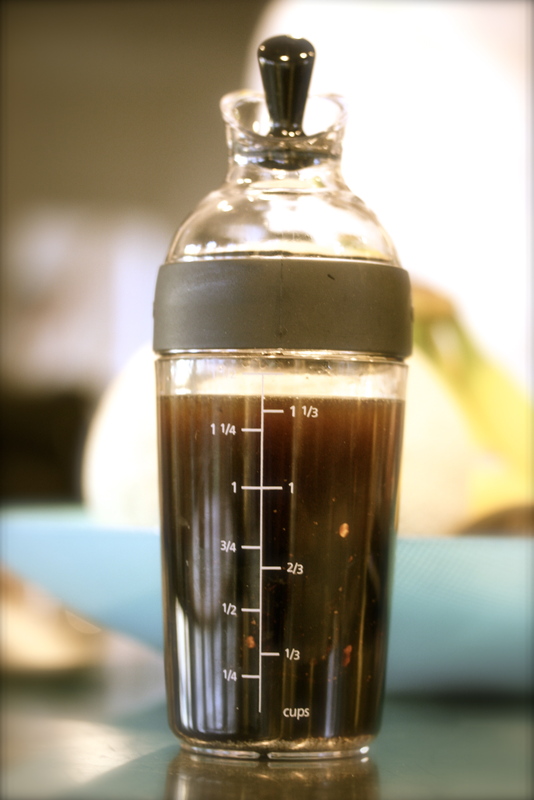 With this handy salad shaker, I made a big batch of my balsamic vinaigrette to keep in the refrigerator. It’s only a few ingredients: balsamic vinegar, good quality olive oil, garlic, honey, kosher salt & pepper – no chemicals or fillers needed. The salad shaker was $14.99. 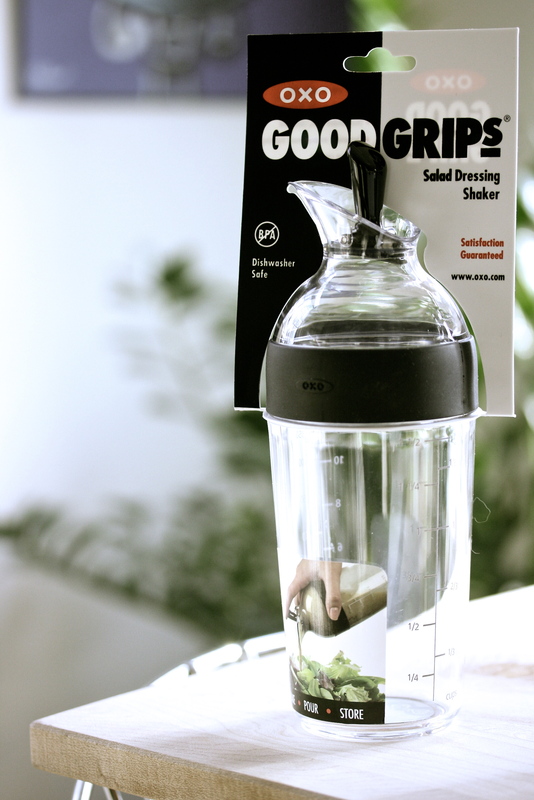 It comes with helpful measurements on the side, and a flip top spout, making it easy to shake and pour the dressing with no mess. Genius! For those of you who are unaware, Bed Bath & Beyond has begun adding glorious gourmet food departments to their stores. Currently only found in a few locations, with more to come. They carry everything from gourmet cheeses and charcuterie, to top quality oils and vinegars. A wide array of European chocolates, cookies, condiments, spices & baking necessities, as well as a nice gluten-free assortment. Craft beer and awesome wines in some locations, too. Full disclosure… my husband has been with Bed Bath for many years and gourmet food is one of his projects. I also do consulting work for BBB. Regardless, I would still be a loyal Bed Bath & Beyond customer without the connection. The store is addictive. This Frankie’s Olive Oil is fantastic! 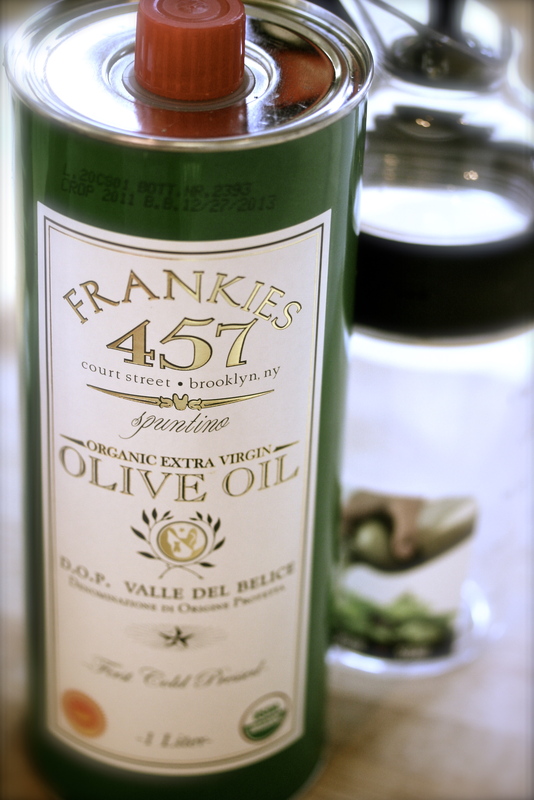 A recent BBB food department purchase, Frankie’s Olive Oil is made by Brooklyn’s famous Frankie Spuntino. I’ve enjoyed the meatballs from his NYC location. Delish! If you happen upon one of these gourmet food departments, try this olive oil. If you’re interested in which BBB locations have food, just let me know. There’s good stuff for all my foodie friends to enjoy. * My daughter has become a photography enthusiast and took the pictures for this post. Nice job! Great job Gaby on those photos!! You’re the one who sent us to Frankie’s for the meatballs too. It’s one of the best olive oils I’ve tasted. Delish! Looks like a good addition to the kitchen ! The pictures are excellent !! !